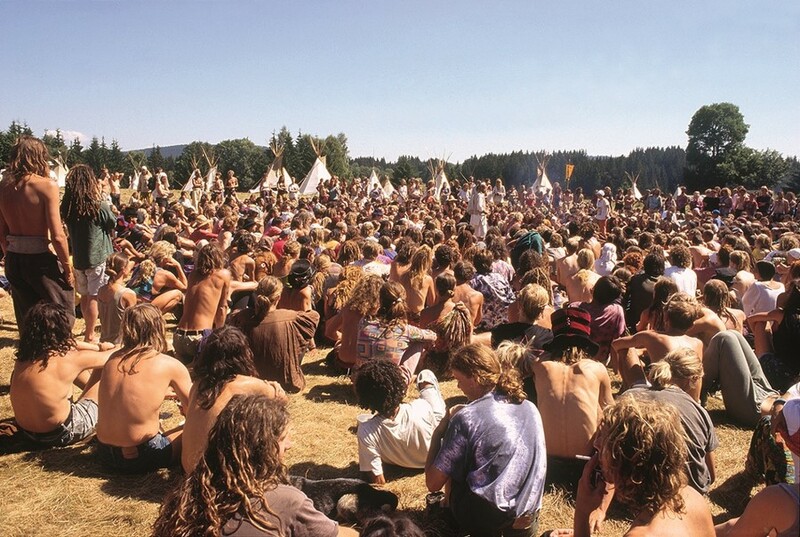 Communes, hippies and festivals: for a few years in the 1990s, mainland Europe looked a lot like Woodstock. After the Criminal Justice and Public Order Act 1994 effectively eradicated Britain’s raving scene, "repetitive beats" crossed the Channel. Tom Hunter and his friends bought a bus, stocked up on food, and toured the continent selling egg butties and beer to festivalgoers. He has collected the photos in his book Le Crowbar (named after the bus) to document the good vibes, deep friendships and overall joy of one perfect summer. The photos from the trip will be exhibited for the first time at the upcoming show Life on the Road, alongside photos of travellers by Dave Fawcett and video footage of the parties from filmmaker Andrew Gaston. Dazed Digital: What can you tell me about the trip depicted in Le Crowbar? Tom Hunter: It was the summer of ’95, and I was squatting near London Fields. I bought myself a double-decker bus from some hippies in Cornwall, and about ten of us went down to France, Germany, Czech Republic, Austria, Italy, France, Spain and Portugal. I first took pictures of travellers around Europe in ’93, which was quite idyllic, and then it became a bit more manic in ’95. From these hippie chilled-out love festivals, lots of acid and smoking joints, it changed to MDMA and repetitive beats. So the pictures mark that transition, from one type of festival to the next. DD: What was the atmosphere like on the bus? Tom Hunter: It was very fluid and communal. Lots of the travellers were quite distinct units – a couple, a family – while we were more of a party bus. At one point we had about 30 people on the bus. We had a small sound system and a football table, and every weekend we’d go to a new festival. We’d make our money selling beer and food, it’d be 24 hours for five, six days, and we’d take turns working. There was no rota or hierarchy, nothing was written down, but people would just naturally take on responsibilities. And then we’d drive off into the mountains, to the lake, and chill out for a bit. The whole ethos was trying to escape from big fat businessmen opening up clubs for young people, telling them what music they wanted and taking their money. DD: Did you get much trouble from the police? Tom Hunter: No, no. Having a double-decker bus in Europe painted red and white does make it stand out, and you become a novelty. So bemusement rather than trouble. If you can speak the local language that helps a lot, and we always seemed to have someone who could. We had a girl who was very good at linguistics, and she learnt Czech within a couple of days of being there. If you treat people with respect, they’re just doing their job. And we weren’t fighting people, we were just trying to have fun. Local farmers would be like, ‘Yeah, of course you can park your vehicles there and play music. There’s no one around, so why shouldn’t you?’ There wasn’t this association of rave culture with drug culture yet. It was only later that people realised you could make money from festivals, and health and safety issues and all that. DD: Would it be possible to set up festivals like this nowadays? Tom Hunter: It is definitely harder now. There are still people putting on parties in Dartmoor and these remote places in Scotland. In some ways it’s a lot easier. When we used to do it we used to have great big thick generators, and the speakers were huge. Now you can just get suitcase generators and an iPod and you can have a party with a few lights. The thing that makes it so much harder is that as soon as an old lady starts to hear ‘boom, boom, boom’, even if it’s ten miles away, she’ll be straight on the phone saying, ‘I can hear this vague noise. I think someone might be enjoying themselves.’ And travelling in vehicles like that is really hard nowadays; there isn’t really that camaraderie. It takes a long time to build up that network of people who look out for and help each other. DD: Who were the most interesting people you met on the trip? Tom Hunter: There was a festival in Austria called The Rainbow, and the people were very, very evangelical puritans, in a way. They would go somewhere that was completely isolated, there were big teepees, you’d all eat communally in this big circle, and you couldn’t speak unless you were holding this thing called the Talking Stick. There were eco-toilets and cosmic workshops and all that sort of stuff. I thought it was quite interesting and then I hated it – people telling you what to do, it was very strict. Some of the drug dealers were quite unusual characters. They’re completed isolated from any form of government, with their own rules. There was one guy, Fat Mate, who’d have huge amounts of money. He could end up taking ten or 20 of you out for dinner, spend £3,000 and think nothing of it. It’s a different world they live in. DD: What do you think about the trip now, looking back on it? 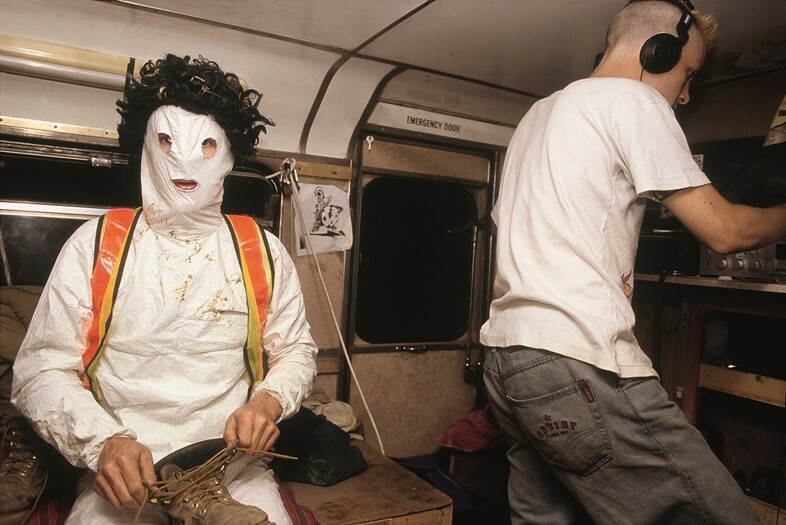 Tom Hunter: It was a cultural explosion, which I didn’t really realise at the time. When you get caught up in something you don’t realise what’s going on. I just thought that sort of thing was happening everywhere. There seemed to be a chaos and an anarchy, but everything seemed to balance itself out. And it felt really inclusive, you felt part of something.